A North Carolina couple recently pled guilty to running a sweepstakes fraud scheme that targeted elderly Americans, in some cases causing victims to lose their entire life savings. Jessica and Jason Brown acknowledged in federal court that they operated call centers in Costa Rica that falsely informed U.S. residents—predominantly senior citizens—that they had won a substantial cash prize in a global sweepstakes, but the prize was only redeemable if the “winners” sent money to cover insurance and other fees. From 2004 until 2013, the Browns and their crew fleeced hundreds of elderly Americans out of nearly $900,000. Those who carry out these types of telemarketing frauds, including the Browns, use Internet technology and even forged documents to dupe their victims. They also purchase marketing lists—commonly used by lawful telemarketers—so they may know something about their victims, such as credit cards they might possess. The fraudsters work out of so-called boiler rooms, usually apartments or offices with banks of phones. They might make hundreds of calls before finding one person receptive to their pitch. Typically, the criminals say they are calling on behalf of some reputable insurance company or a U.S. federal agency such as the Federal Trade Commission or the Internal Revenue Service. The imposters say they want to make sure all the taxes are paid on the sweepstakes money so the winner faces no legal or tax issues. To mask that they were calling from Costa Rica, the Browns used readily available technology that made victims think they were talking to someone from an area code in Washington, D.C. This added a further air of legitimacy to the scheme, since the callers frequently claimed to be representing a U.S. federal agency. Though initial prizes were usually billed as second-place winnings, the $350,000 to $400,000 figures were still substantial. The victims were told they would have to pay fees and taxes of about 10 percent—between $3,500 and $4,000—and were often directed to send the money via Western Union. It didn’t stop there. After receiving money, the scammers would contact the victims again and inform them that their prize amount had increased, either because of a clerical error or because another prize winner was disqualified. Of course, the new, larger prize meant more taxes and fees. The attempts to collect more cash would continue until a victim either ran out of money or realized what was going on, Duffey explained. “One Delaware woman was swindled out of more than $300,000—her life savings,” he added. 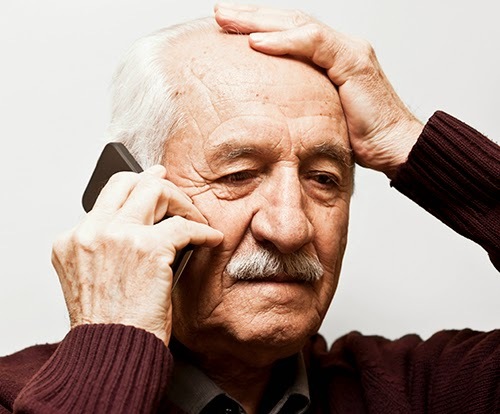 Criminals who prey upon the elderly through sweepstakes fraud and other telemarketing schemes can be extremely convincing, but you can avoid becoming a victim by keeping a few simple guidelines in mind. - Don’t wire money, ever. No government official will ask you to send money in this manner. If you have to pay for a prize, it’s not a prize. - Never give callers financial or personal information. Don’t give out sensitive information such as your credit card or Social Security number unless you absolutely know who you’re dealing with. - Don’t trust a name or number. Fraudsters use official-sounding names, like Lloyds of London of Costa Rica, to make you trust them. No matter how convincing their story—or their stationery—they are most likely lying. To make a phone call seem legitimate, scammers use technology to disguise where they are calling from. Even though it may look like they’re dialing from Washington, D.C., they could be anywhere in the world. - Put your number on the National Do Not Call Registry. This won’t stop fraudsters from calling, but it should make you skeptical of random calls. Most legitimate sales people generally honor the Do Not Call list. Scammers ignore it. Register your phone number at donotcall.gov. - Report the scam. If you get a call from a government imposter or someone attempting a sweepstakes fraud, file a complaint with the FTC at ftc.gov/complaint. - Here’s the bottom line: If someone is pitching something on the phone that doesn’t sound right, you always have the option to just hang up. If it sounds too good to be true, it probably is.